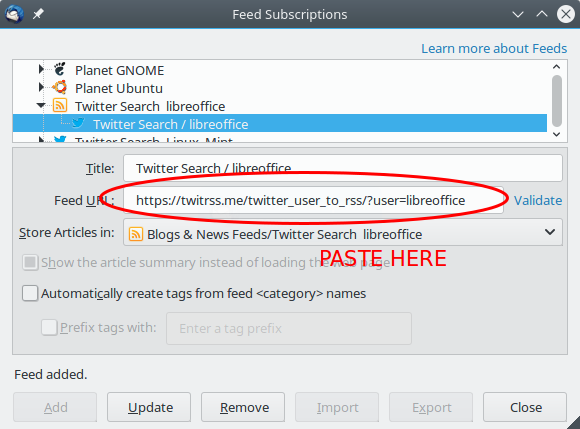 With TwitRSS, you can subscribe to any Twitter account as RSS Feeds so you can read them using any RSS reader. This article shows how to do it with Thunderbird RSS Reader. TwitRSS is a web-based free software licensed under GNU GPLv2 by Charlie Harvey. 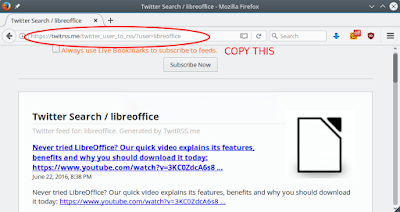 To begin with, we will subscribe to @libreoffice Twitter as example. You can find more Twitter accounts of free software community below. Enjoy! For example, to subscribe to LibreOffice tweets (https://twitter.com/libreoffice), copy the @libreoffice username. 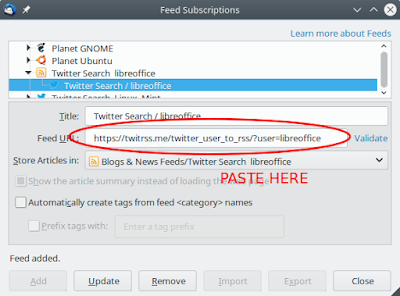 Go to TwitRSS online service at https://twitrss.me > paste the username at Twitter User box > press Fetch RSS button. 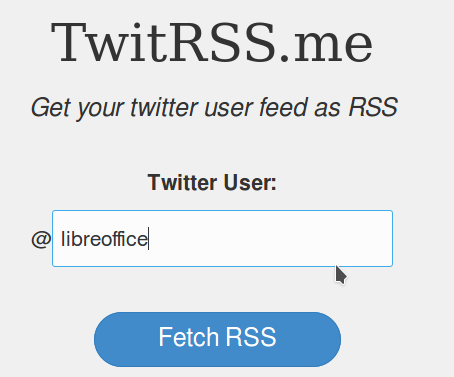 TwitRSS will generate the RSS Feed url for the username you given. Copy the URL on your browser address bar. Create a new RSS folder by File > New > Feed Account > finish it. Click the RSS folder > click Manage Subscription. Paste the URL there > press Add > press Close. 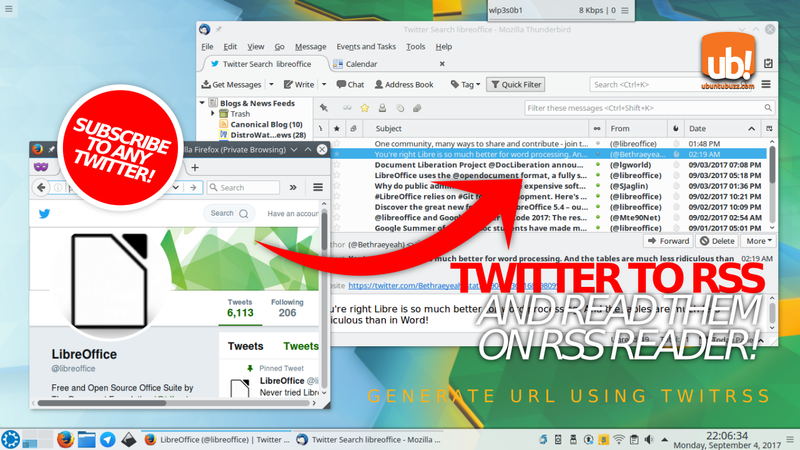 You got Thunderbird receive @libreoffice tweets as feeds! 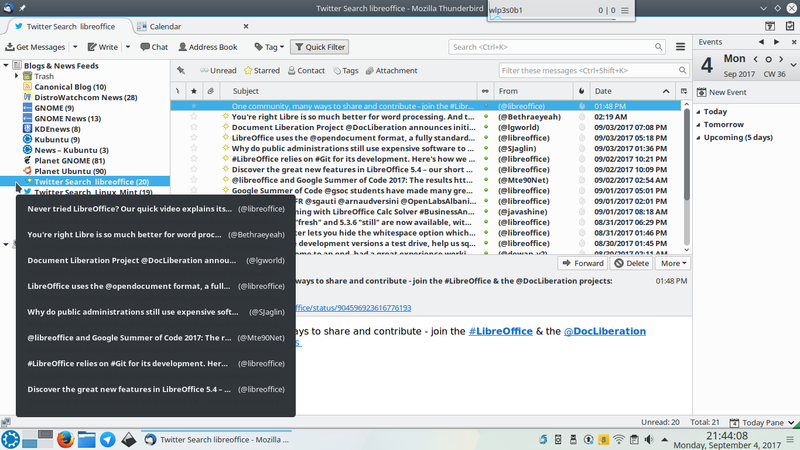 Once added, the Twitter feeds of LibreOffice are displayed on Thunderbird. Now you can enjoy them or add another feeds. Hunt your favorite tweets!